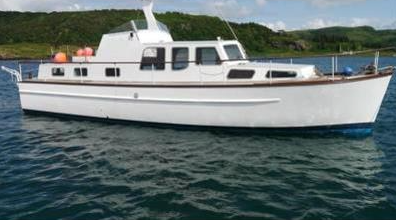 This is a late-model 39 from 1978 which has a custom built flybridge with a second helm and a re-designed radar mast. She is well maintained by her current owners and her accommodation is both spacious and comfortable and just requires some tlc. With lots polished wood, that gives a give a warm inviting feel, she would be an ideal boat for long-term cruising or as a very comfortable liveaboard on canals and inland waterways. ← Help – Creating a new web post.